“Modern Day Slavery is Real” – My most recent collaboration with Mutope Duguma (http://www.mutopeduguma.org/), which was chosen to be featured in the 2017-2018 Certain Days: Freedom for Political Prisoners calendar. Print created for the Martin Luther King Jr. Day long weekend, when the Anti Police-Terror Project hosts an annual series of events to “reclaim MLK” from his being whitewashed and deradicalized. “Now we must rededicate ourselves to the long & bitter, but beautiful struggle, for a new world.” – MLK. Print of California poppies with a quote from ancestor-hero Marilyn Buck. “do not sit idle, your path streams before you, bank the raging fires and light laurel branches against the cold.” – M.B. Print “A Prison Nation Dehumanizes Us All” with a quote by Elizabeth Fry, 18th century Quaker prison reformer in Britain. 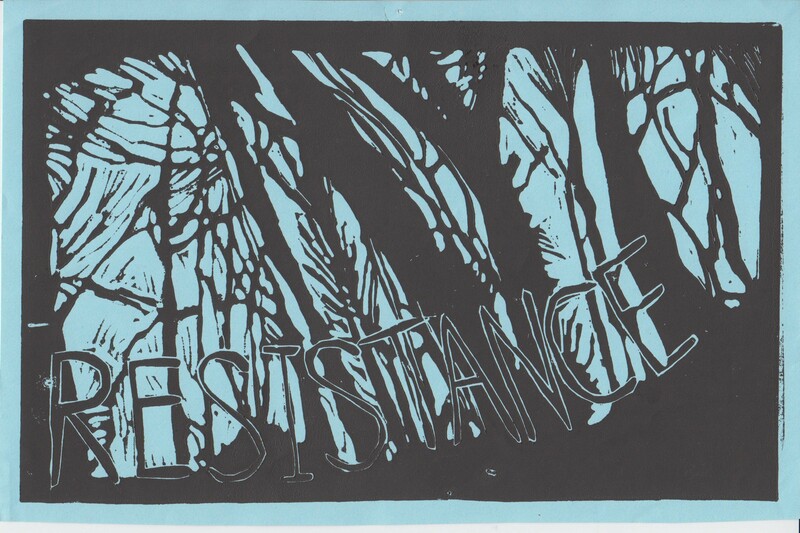 Print created in solidarity with Standing Rock in 2016. “Power of three” – an exploration of colonization and ancestry. March 15, is the International Day Against Police Brutality. This poster, “End Police Brutality” is the result of a collaboration between David James Hudson, Molly Jane and myself, based around elements of David’s spoken word piece, “Another Unoriginal Poem about Police Brutality” (http://is.gd/aupapb). Print in support of Ancestral Pride (ancestralpride.ca) and Indigenous Reoccupation of Ancestral Lands. Print “Dignity and Liberation” from UN-SETTLING ALLIANCES: CONNECTING OUR LIBERATION portfolio, spring 2014. See all the amazing prints here: http://cargocollective.com/unsettlingalliances/THE-PORTFOLIO. 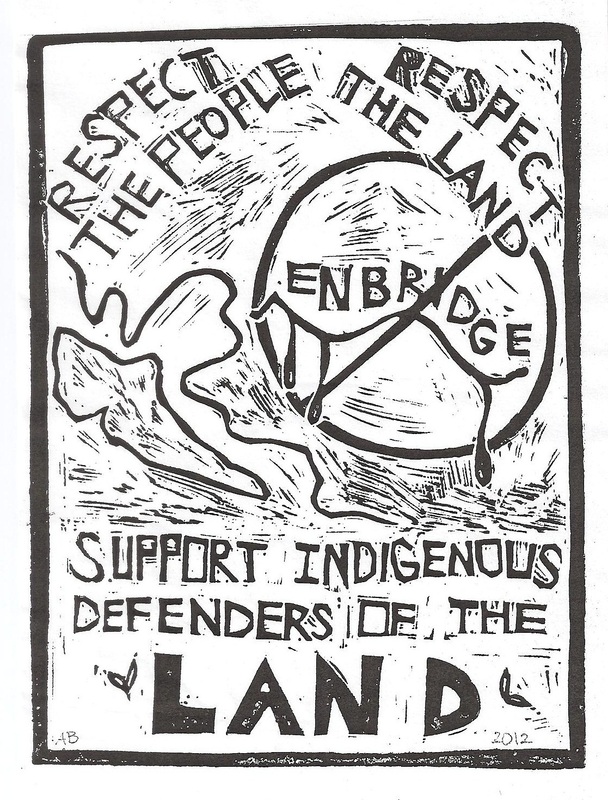 Print made in support of the Tar Sands Healing Walk.